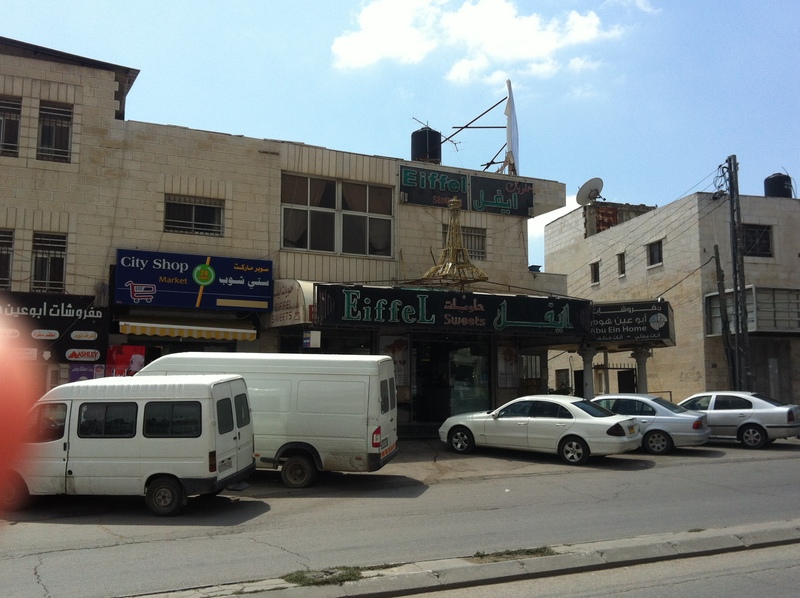 A brief blog entry about my first visit to Ramallah today. 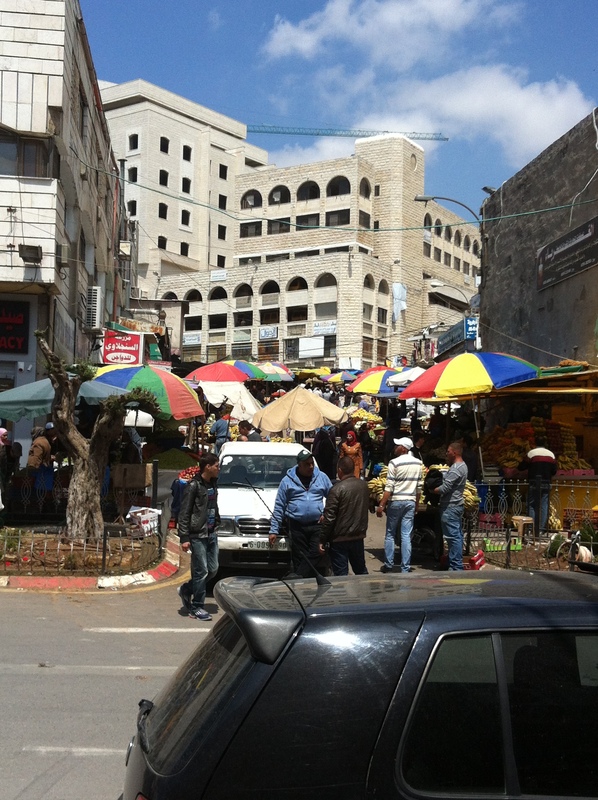 Ramallah is in Zone A (of the 1993 Oslo Accords), which means it is in one of the small parts of the Occupied Palestinian Territories which is controlled fully by the Palestinian Authority rather than Israel. 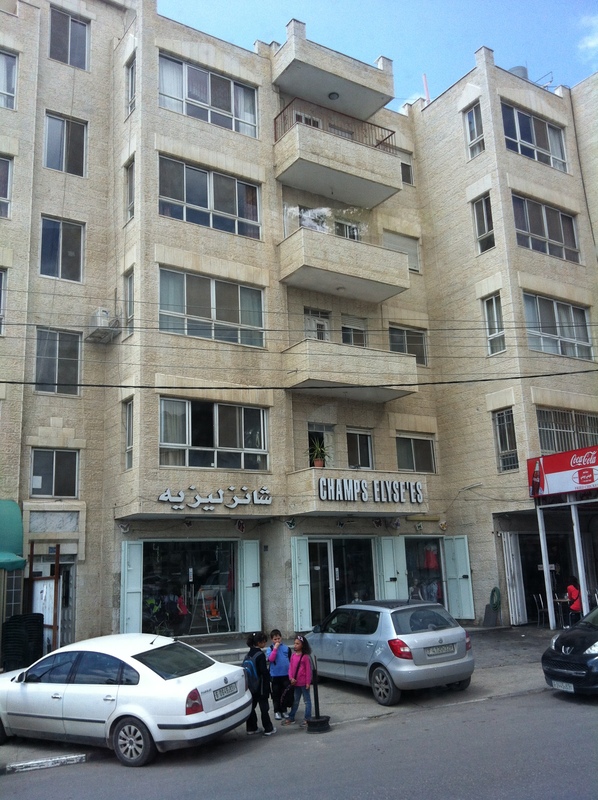 The only other time I visited the OPT was last year as part of an informative ICAHD bus tour. We saw settlements, the separation wall and evidence of housing demolition, and we tourists were unanimously shocked by them. Today I took an ordinary bus on which I believe I was the only ‘tourist’, or non-local. Again, I passed settlements on neighbouring hilltops. 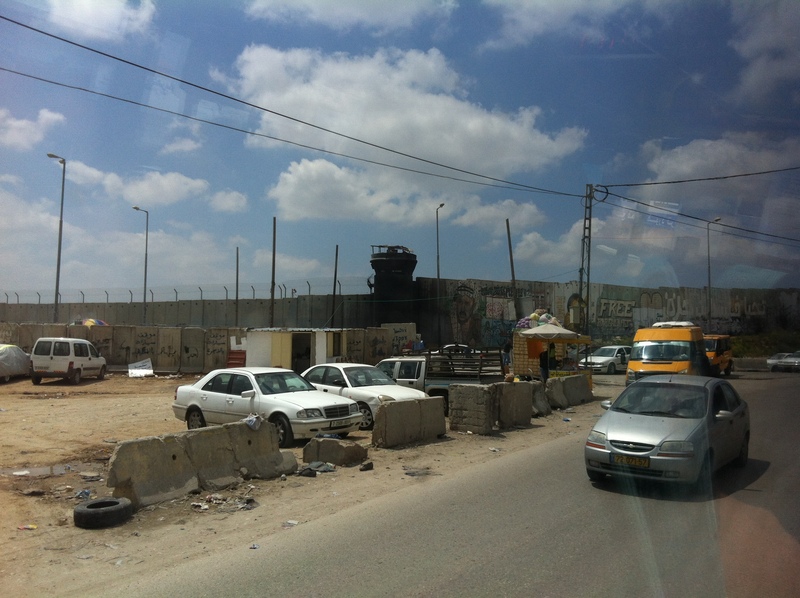 And again, I passed various stretches of the wall before going through a checkpoint. The difference was that this time the people around me didn’t even bat an eyelid at these surroundings. I felt quite emotional – here are these completely abnormal conditions in which people are trying to lead normal lives. Somehow on the tour last year, even though we were very moved, especially by our visit to a family whose house had been demolished 5 times (and a 6th since), the very fact of being on an organised tourist experience seems to distance you from the lived reality of it. At least I now realise with retrospect that it did for me. Emerging from the checkpoint the first thing I saw, amidst the long queues of stationary cars and lorries waiting to get through, was a man selling great, big, colourful, incongruous beach balls. Others were selling all sorts of toys and consumables to the waiting cars – a young boy offered me a glittery toy windmill through the (un-openable) window of the bus. Over the following minutes we then passed not one but two mini Eiffel Towers and a shop called Champs-Elysees (which was anything but!) 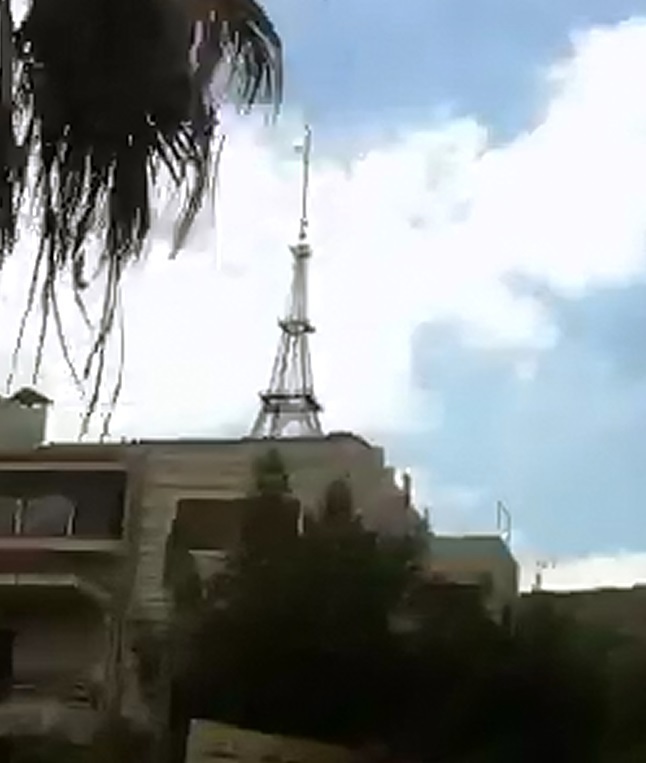 as we drove into the town centre. What is it about Paris?! 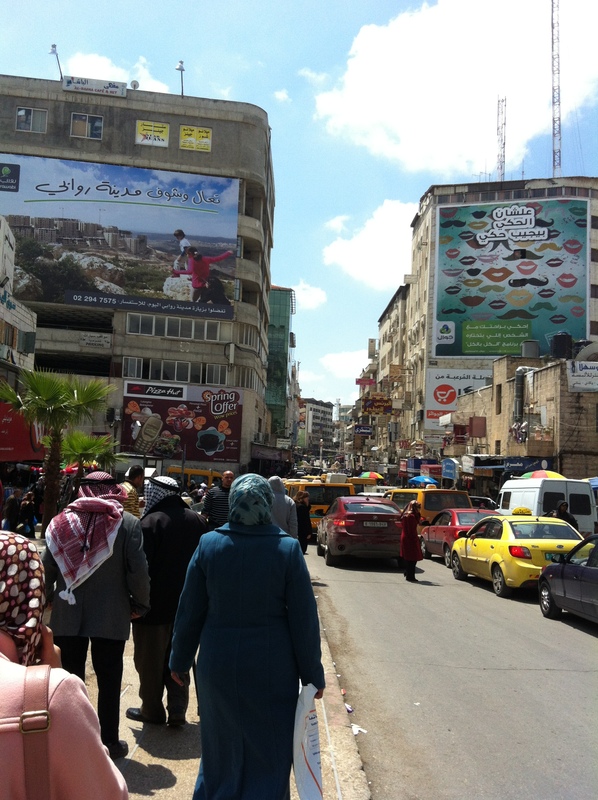 Stepping off the bus in Ramallah, with no map and no idea what to expect, I was greeted by a cacophony of colour and vibrancy and chaos and tooting horns. It’s wonderfully full of life, yet somehow seems to have retained some of its relaxed village feel at the same time.